AMETEK SMP has led the industry in the production of Pfinodal® (C72900) with superior bearing properties. 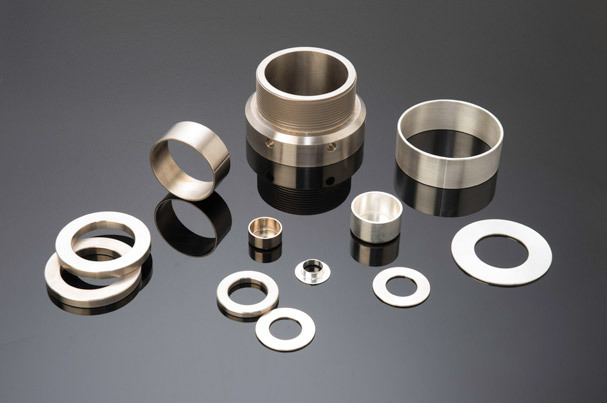 Our production processes and heat treatments combine to ensure the high hardness required in a bearing material for bearing sleeves, bushings, washers and caps. The material has been in use for 20 years under patent numbers 5527113 and 5552106 for these rock bit bearing applications. The near-net shape processing of our materials eliminates waste thereby reducing cost for the finished product. AMETEK SMP specializes in offering the turnkey solutions of materials that are machined, plated and packaged to your specifications. These can be shipped to your facilities around the world for incorporation in the bits, reamers and equipment needed to power the world.